Magic Johnson shocked the basketball world on Tuesday by announcing his resignation as the Los Angeles Lakers’ president of basketball operations. When he told reporters of his decision, he said that he hadn’t even informed owner Jeanie Buss and general manager Rob Pelinka. Shortly after the stunning announcement, the Lakers had to play their final game of the season. And that ended in a way that summarizes how things went for the team in the 2018-19 season. 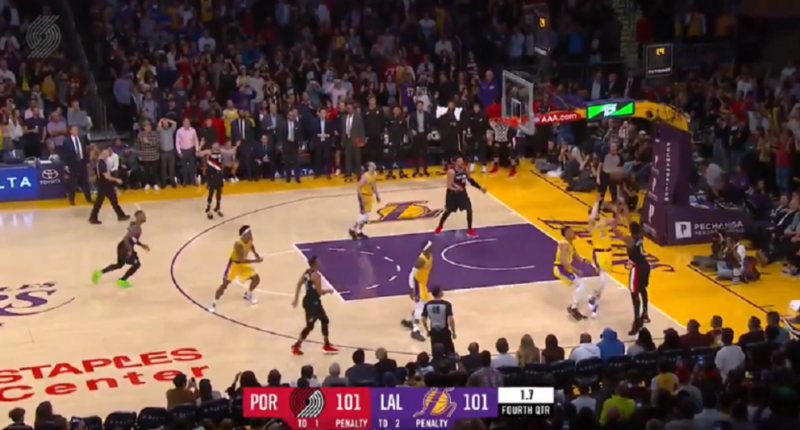 Moe Harkless nailed a three at the buzzer to give the Portland Trail Blazers a 104-101 win over the Lakers. Now, it’s not like the game result really matters for the Lakers. They finish the season 37-45, 10+ games out of a playoff spot in the Western Conference. But this was an extremely disappointing season for Los Angeles, after they signed LeBron James in the offseason and had a roster with intriguing young talent. Losing on a buzzer-beater is a pretty fitting way to cap it off.